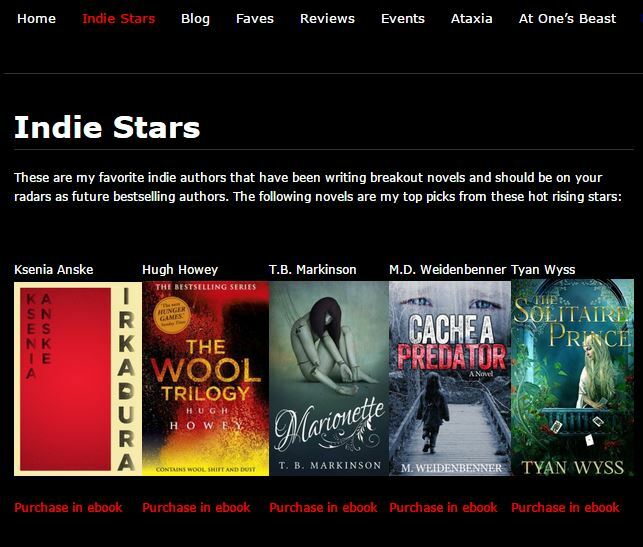 You can now view the Indie Stars page on my blog. It has the best of the best Indie authors. There are so many books and authors out there that it’s hard to find the hidden gems, but I’ve done -some- of the work for you! I’m reading and reviewing as many Indie authors as I can and I’ve pulled out my favorites just for you.